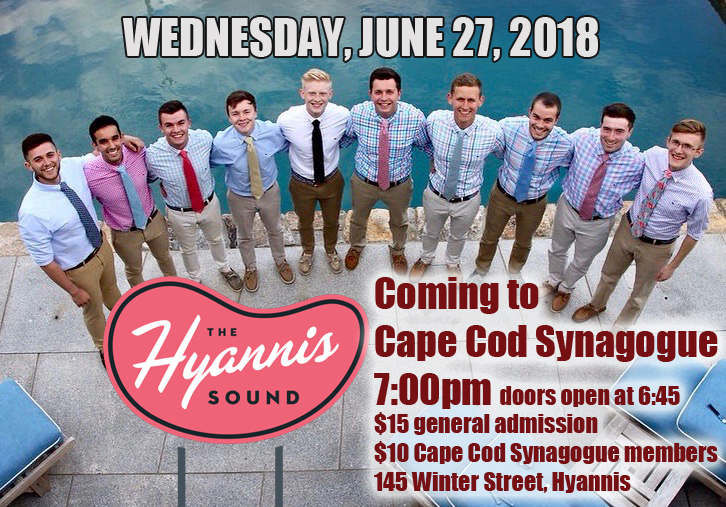 The Hyannis Sound is Cape Cod’s all-male professional a cappella group. Comprised of ten young men from around the country, the group has entertained audiences of all shapes and sizes since its inception in 1994. Boasting a diverse repertoire aimed to please anyone from age 5 to 95, The Hyannis Sound’s members are charming, talented and laugh-out-loud funny. Don’t let the ties fool you: this is no formal event. Bring the whole family along and prepare for a high-energy concert of great music, stories and antics. The Hyannis Sounds upbeat, dazzling and moving performances are an exciting part of Cape Cod’s musical culture. 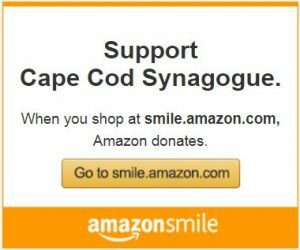 Call the Synagogue at (508) 775-2988 to buy tickets in advance. Sales at the door will be only as the space allows. 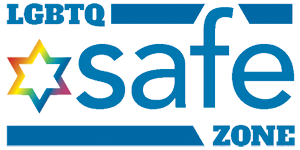 Previous Shabbat Family Dinner- Friday June 8, 2018- Salmon!